DigitalGlobe has released a new satellite image of the Fukushima Daiichi nuclear site in Japan taken at 10:20AM local time on March 18, 2011. 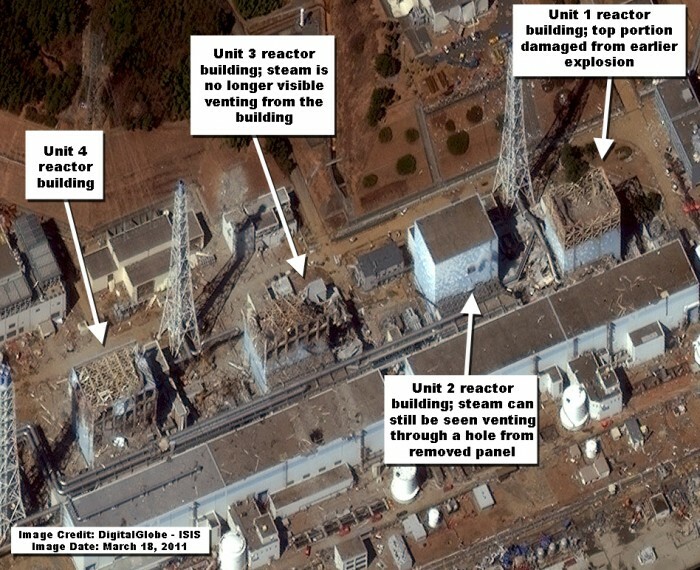 The most significant difference in the new image is the lack of any visible steam above the damaged reactor building for unit 3. In both the March 16 and March 17 images, steam can be seen venting out of the top of the building. Steam can still be seen venting out of a hole on the side of the unit 2 reactor building where workers removed a panel.